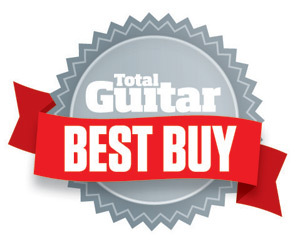 As Reviewed in TOTAL Guitar Magazine April 2015, BEST BUY & 5 STAR reviews.... Read More.. When playing live, the space at your feet is at a premium and these little guitar effect pedal give you more room to manoeuvre and space for more gear on the pedalboard. JOYO squash 10 years of guitar effects technology and experience into a tiny enclosure. The JOYO Ironman mini guitar effect pedals come with a Velcro and non slip rubber base, so they're not going anywhere on the pedalboard and constructed of Aluminium alloy they are built to last! There's no compromise on sound either, easily as good as their big brothers and the flip top shied means you can set the controls just how you like them, chuck them in your gig bag and they'll still have the same setting next time you use them. Check out our UK favourites: the Space-verb, Quattro, Little Blaster, Future Chorus, Acoustic, Wah, Gate of Kahn, Raptor Flanger and room for the Green Legend Tube Screaming mini Vintage Overdrive. (Of course we love them all!). The JOYO JF-303 Little Blaster is one of the best sellers in our Ironman range and it's no surprise!.. The JOYO JF-304 Time Magic delay is a great sounding 'Analogue' style delay. A very simple control l.. The JOYO JF-306 Rushing Train is a miniaturised version of our AC Tone. The Rushing Train is designe.. The JOYO JF-307 Clean Glass pedal is a miniaturised version of our JF-14 American Sound pedal. While.. The JOYO JF-309 Boogie Master is a miniaturised version of our JF-15 California Sound. It aims to em.. The JOYO JF-310 Orange Juice pedal is a pedal built to emulate the sounds of some 'citrus' flavoured.. The JOYO JF-311 Blue Rain pedal is one of our best sellers in the Ironman range. A great low gain ov.. The JOYO JF-313 Old School Distortion is one of the unsung heroes from our Ironman series. It is ver.. The JOYO JF-314 Husky Drive is an excellent overdrive pedal that is one of our best sellers. It has .. The JOYO JF-315 Metal Head is a home run from Joyo. Metal pedals are notoriously difficult to get ri.. The JOYO JF-316 Future Chorus is a beautifully musical chorus. The Future Chorus isn't a cheesy, in .. The JOYO JF-318 Quattro Digital Delay, aka The Quattro, like the name suggests, it has four modes of..
JOYO JF-321 Bullet Metal Distortion - The Bullet metal will be the best friend of every metal guitar..
JOYO JF-322 Wow Wah - Auto Wah The Wow-Wah is an auto-wah with a wide range of sounds. It is extreme.. The Gate Of Kahn is the brand new noise gate from Joyo. With just one simple 'threshold' control thi.. The JOYO Molo Trem is a very versatile tremolo guitar effect pedal in a small enclosure. Trem.. The Irontune mini pedal board tuner is a high precision guitar pedal tuner in the most compact desig.. 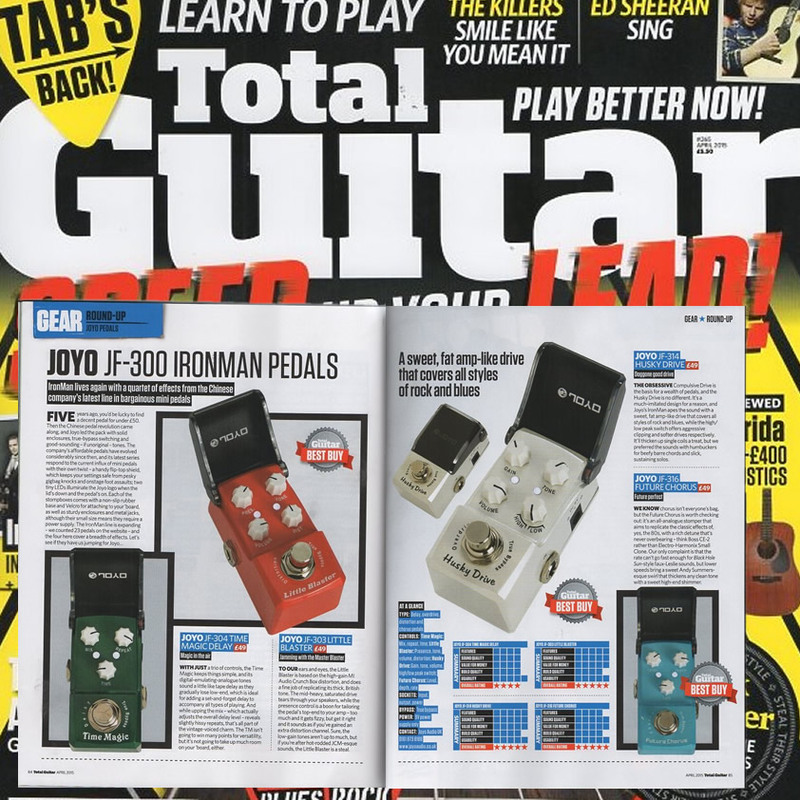 The JOYO JF-327 Raptor Flanger Ironman mini Guitar Effect pedal, just like its fighter jet brother, .. The JOYO JF-328 Nebulous Phase mini Guitar Effect Pedal has landed. .The JOYO nebulous phaser spli.. The JOYO JF - 329 Iron Loop is possibly the smallest Looper on the market today. But don’t let i..
Joyo's F.O.H Bass Di guitar pedal is probably the smallest bass DI Box you have ever seen ! .. The Pedalboard Velcro Kit consists of 2 rolls of Velcro. An impressive 3 metres long and 50mm wide (..